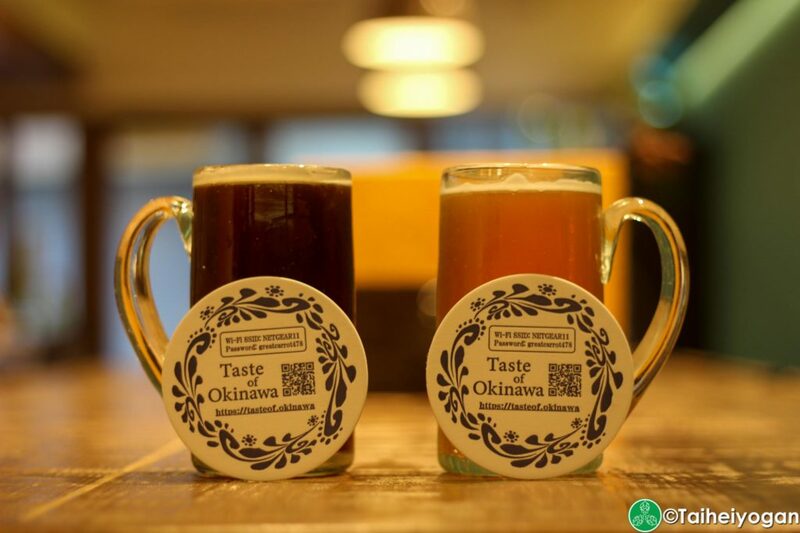 Taste of Okinawa carries the full line of Okinawan craft beers and they work hard to create the best dishes to go with it. 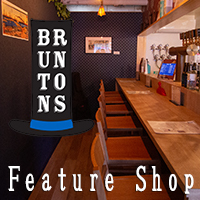 Like everything on the island, they just go with the flow by using a lot of quality ingredients to create western dishes that have a proven track record of pairing perfectly with beer. The Eisbein and Fish & Chips were the two we had to grab and definitely something to look at. The Fish & Chips at Taste of Okinawa came with 2 nicely sized pieces of white fish that were dipped in a beer batter that used Orion beer. Fish & Chips are such a standard that without having Fish & Chips on the menu at a beer bar is like having a Bond movie without a Bond Girl. At Taste of Okinawa, the light character of Orion beer helped to fluff up the batter without adding any heaviness. In the heat of Okinawa, this was a brilliant choice as you wouldn’t want a heavy batter to zap your energy before you head to the beach. The chips were thick cut and fluffy with a bit of a crisp as if it were nicely tanned, and not burnt. Everyone knows that Fish & Chips are the perfect match for beer, however style is really important. We went with Okinawa Sango’s IPA and Helios’ Pale Ale. Traditionally you will want to go with Helios’ Pale Ale as it is an English style Pale. Similar to how a good conservative swimsuit will look good on any body type a good simple Pale Ale can go with almost any dish. 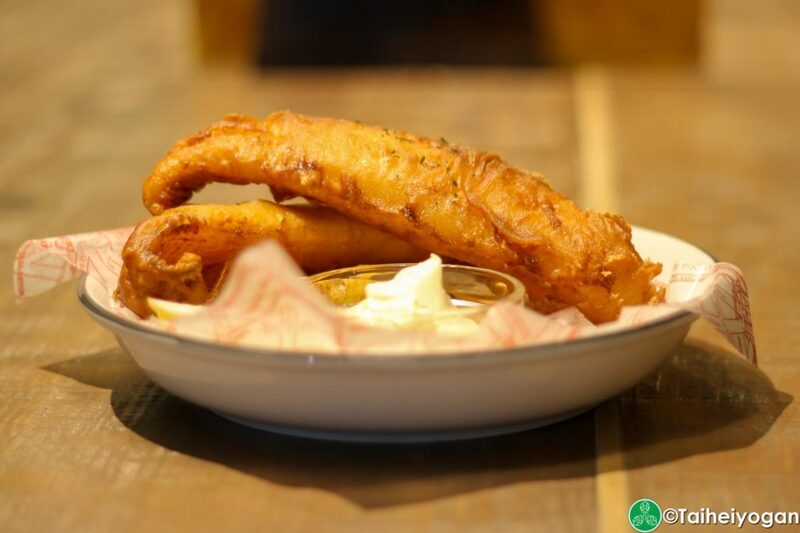 The sweet malt character of the English Pale Ale helps to merge with the flavours of the battered fish. Don’t forget the malt vinegar as the perfect accent to your beach wardrobe as the sour profile of the vinegar helps enhance the malt of the beer. For a little more excitement, the Okinawa Sango IPA is an American IPA with the punch that is associated with American IPAs. The bitter profile of this IPA can be a little overpowering, like a guy wearing a banana hammock. The delicate flavours of the white fish can sometimes be overshadowed by the image and flavours of an American IPA. When on island time, you have to go with the flow and get used to the visual shock of an AIPA. If you let this beer warm up a little and decarbonate a bit, it will pair with the Fish & Chips better. When it was full of carbonation, the fizz of the beer destroyed the flavours of the fish, but as the beer started to lose its shock value, the character shifted and the flavours of the fish started to shine better. The Eisbein is like Honey Ryder coming out of the sea in Dr. No. With extremely limited quantities each day you really have to get there early or call in advance. The ham hock is marinated in herbs and spices for 7 days before they soak it in a Porter. This helps to retain the juiciness in the meat and make it fork tender. They add a little sauerkraut and grain mustard, which works like the knife Honey Ryder has as a tool to make things taste more delicious. For the Eisbein, the Pale Ale once again was the chill winner. The standard beer for any dish is a Pale Ale as it is well balanced and can go with many dishes. 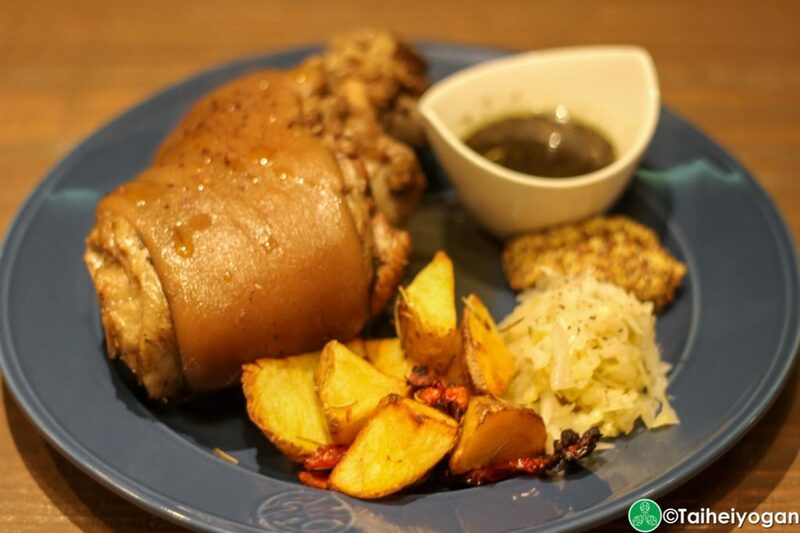 The Pale Ale from Helios has a deeper malt profile that is enhanced by the fat of the pork. As you eat the collagen, the caramel notes of the Pale Ale really blend well to show off the body in a conservative way. Everyone knows that Honey Ryder was wearing a bikini and the Okinawa Sango IPA was just that bikini. The IPA made the Eisbein pop in a classical way that some may feel is a little too much. The soft texture of the collagen and the tender meat just melt in your mouth and works well to tame the wild character of the IPA. For complete details on Taste of Okinawa, check out our page for everything you need to know, including photos. 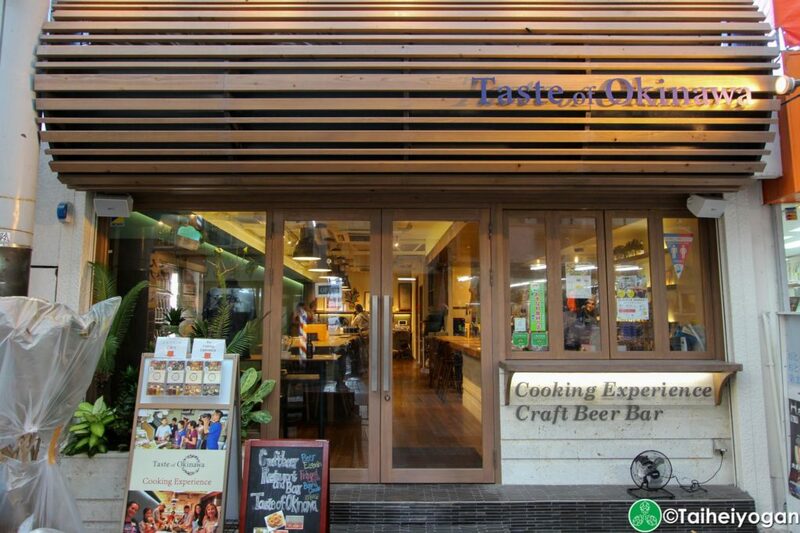 This entry was posted in Articles, Okinawa and tagged Food Pairing, Taste of Okinawa. Bookmark the permalink.